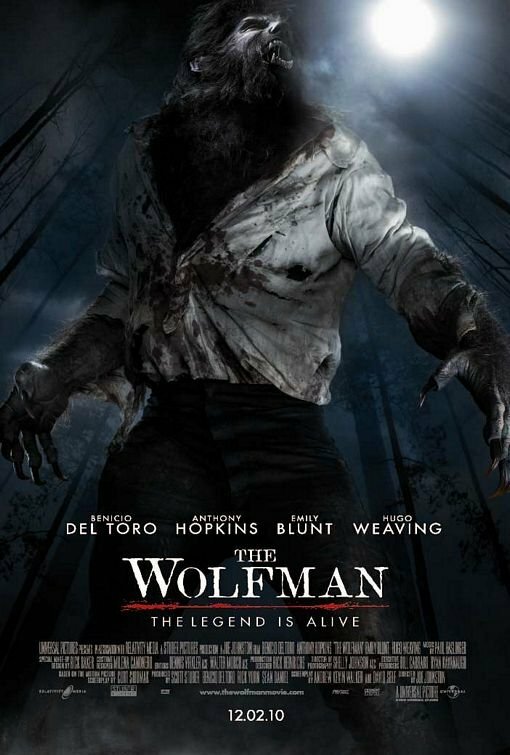 So far I have failed to understand exactly why they are remaking The Wolfman. As I understand the original (and its sequels) is to this day remembered for the transformation scenes, which were memorable for the time. Well, we certainly can do a much more incredible transformation scene nowadays, but considering the kind of things we are used to seeing I doubt any kind of transformation will be impressive enough to merit a movie. So why are they doing this? Something about the story that feels newly resonant? A different take on the story that feels newly resonant? 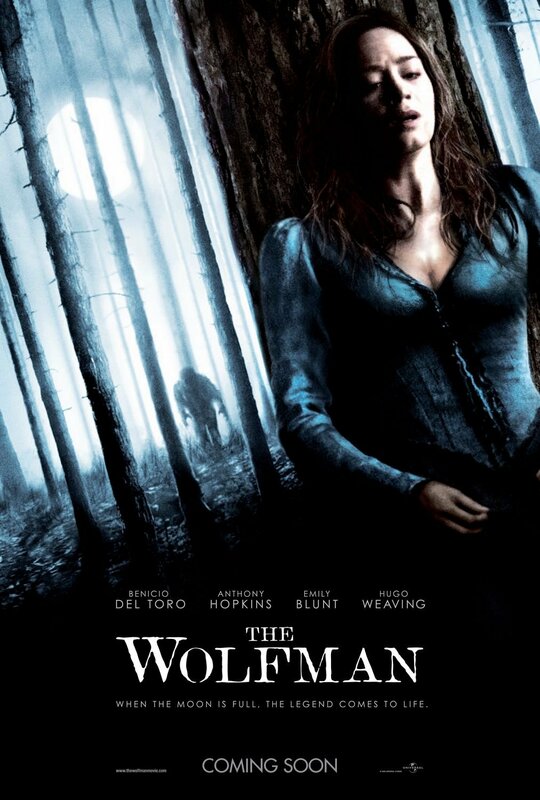 And in the second case why not just make a werewolf movie, why make “The Wolfman”? The original was a classic Universal monster movie, and still seems to be well liked in certain circles. But is the title well known enough to make this a must see? The posters aren’t doing anything to make me see why this is a a great concept. But honestly, since nothing else about the movie made much sense to me I’m not sure I fully equipped to judge how effective the posters are at selling the movie. Perhaps a bunch of people think this movie is a great idea and they find the posters just awesome. As for my take on the posters as posters, I quite like them. Or at least some of them. 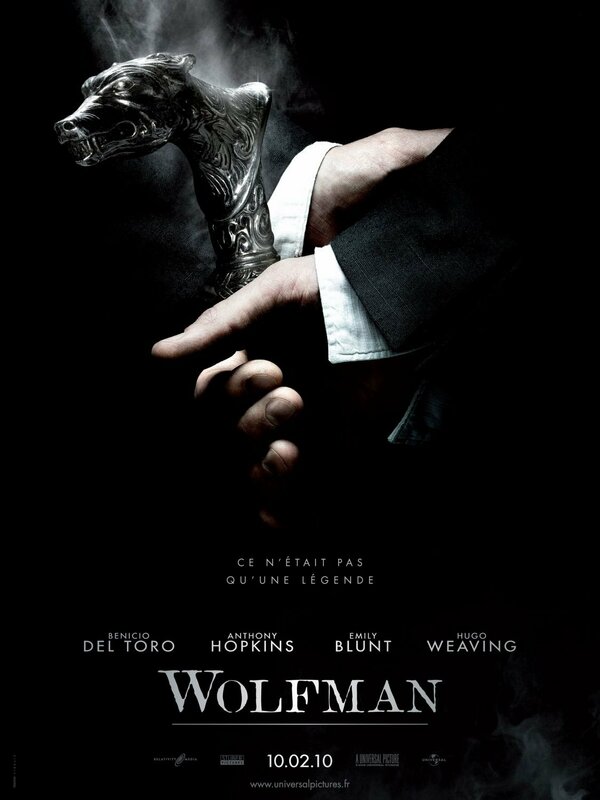 They do feel a lot like something for a modern, slick versions of the the Universal monster movies. And that means, among other things, a sense of mood and ambiance that is quite gripping. And a certain retro feel that I personally like a lot in posters. 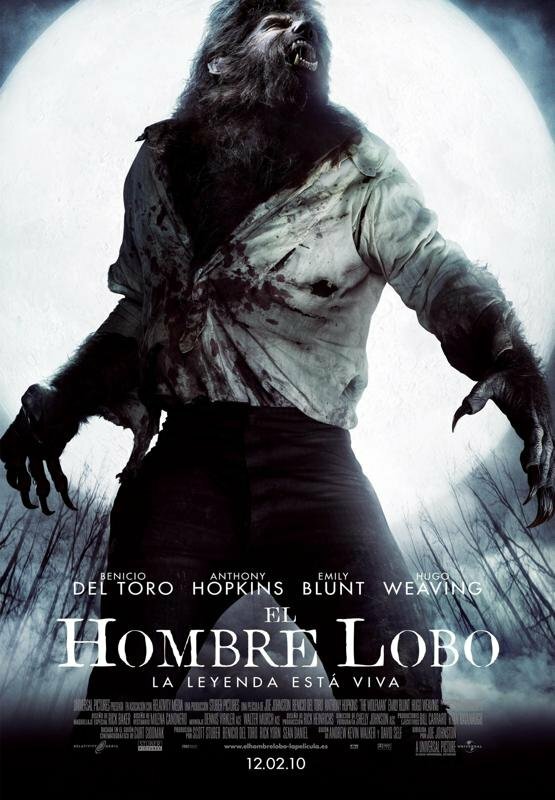 I especially like how the wolfman looks modern without looking like most modern visions of the werewolf. Some of these posters take the approach of keeping the beast hidden at the distance while others, obviously, are a lot less shy. Some people feel strongly about one or the other approach when it comes to marketing a movie. I myself think they can both work. And here they both make for interesting images. 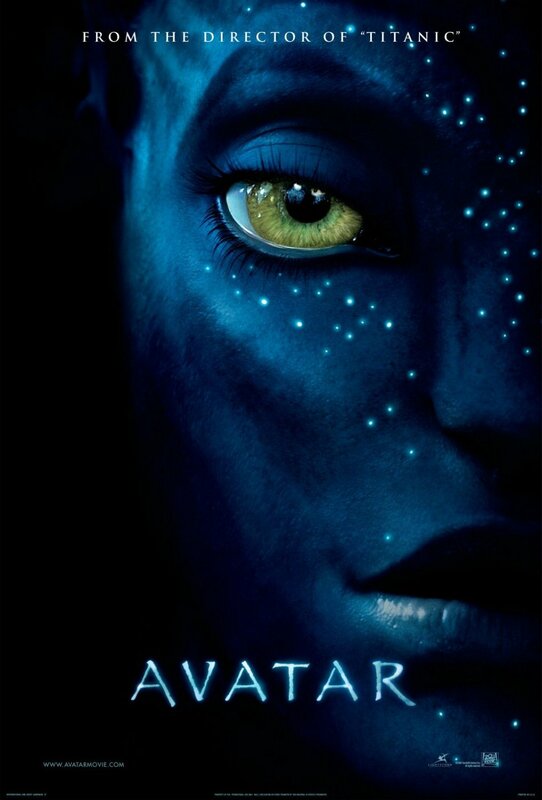 By now any discussion of the adequacy of the Avatar posters as a marketing instrument have been rendered useless. The film is big. It will make lots of money. Whether the posters helped that a little or made the path to the top a little harder is of little importance. A more interesting question right now is how the posters works as iconic images for the film. After all the film has been seen by many, many people, several of whom must have loved it. And the posters seem to be selling well. But will those posters work as a reminder of the things that people liked about the movie? Will they take them back to that experience? And will their images serve as an icon that we will often remember when thinking about the film? My own guess is probably not. Avatar is an specifically difficult experience to capture in a 2D still image, for obvious reasons. In order to overcome that you would need something very creative and inspired, and the posters strike me a rather bland and generic. 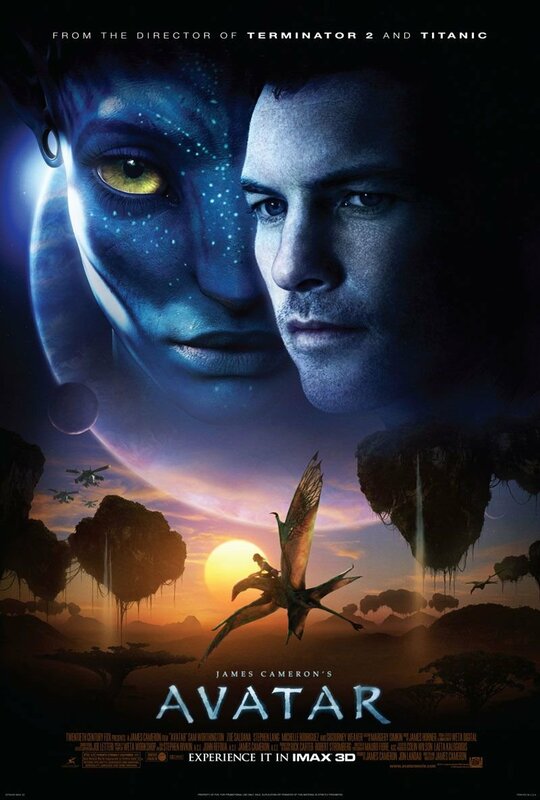 The posters that show both Jake’s and Neytiri’s floating heads, with some Pandora images in the middle remind me of the poster for Titanic. Show us the two leads who are romantically involved and the backdrop to their relation which makes this a very special story (Pandora in this case, the boat in the former). But the Titanic poster was a much more significant achievement design wise, managing to not just show the characters faces, but also their relationship, and mixing that in a much smoother way with the backdrop, resulting in an evocative and beautiful poster. And yes, it’s much easier to show the Titanic in an image than to show Pandora. 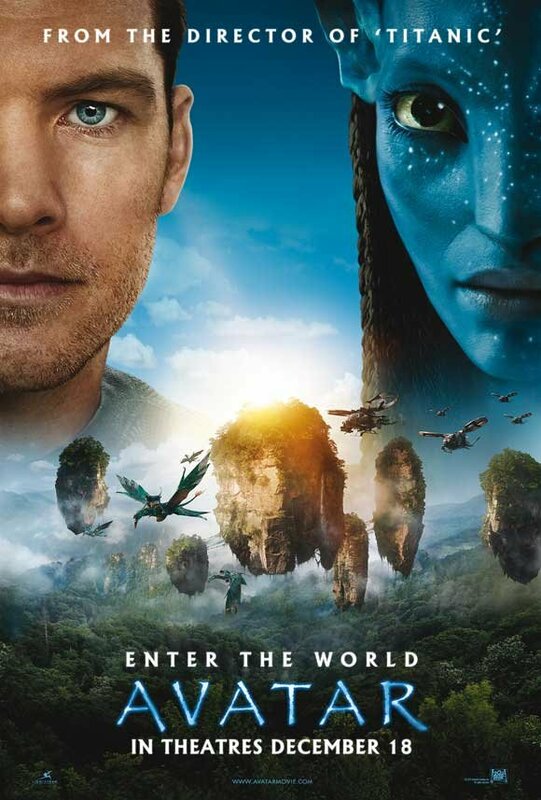 The poster showing just half of Neytiri’s head does better in this aspect by very much giving up on being in any way representative of the film as a whole. It shows just on aspect of the film (the blue people!) and one character, and even then only a little bit of it. The image is sufficient to trigger the memory, but doesn’t go farther then that, allowing us to fill what is behind the image with our own imagination. Not brilliant, but reasonably effective. So, to recap, the poster campaign for the first Iron Man was basically a bunch of teasers showing how cool the suit was followed by a couple of final posters in a sort of Star Wars style with a lot of things happening. Despite these differences the sell was clear, especially when coupled with the trailers: Iron Man himself. The campaign for the second Iron Man feels a lot less focused. Three posters. 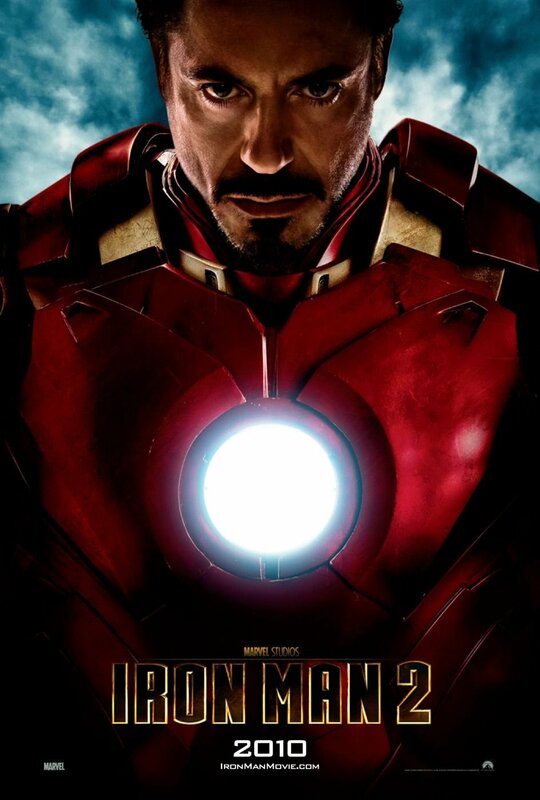 The suit without the helmet, pointing to the “everybody knows Tony Stark is Iron Man” aspect of the film. 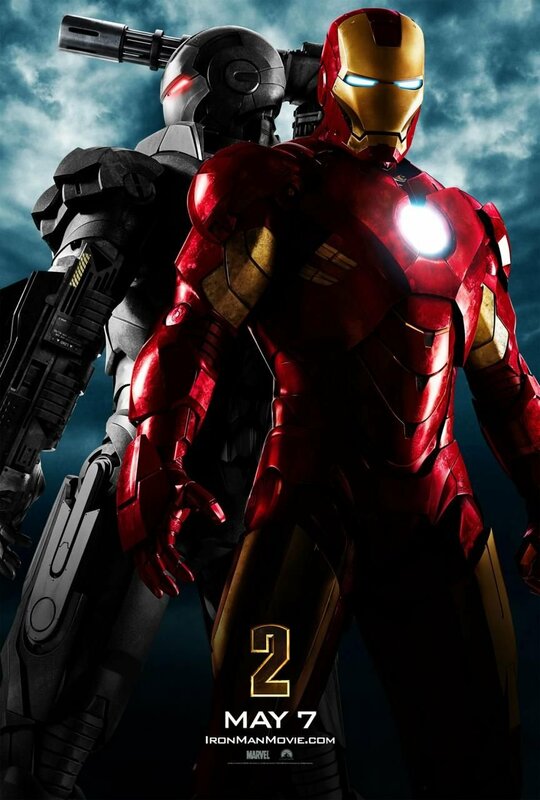 Iron Man and War Machine fighting together (“He is not alone anymore!”). And the new villain. That is a quite a few ideas, being sold separately from each other. Not that movies haven’t been sold with a scattershot approach before, but when comparing this to the first campaign it strikes me as a less compelling campaign. 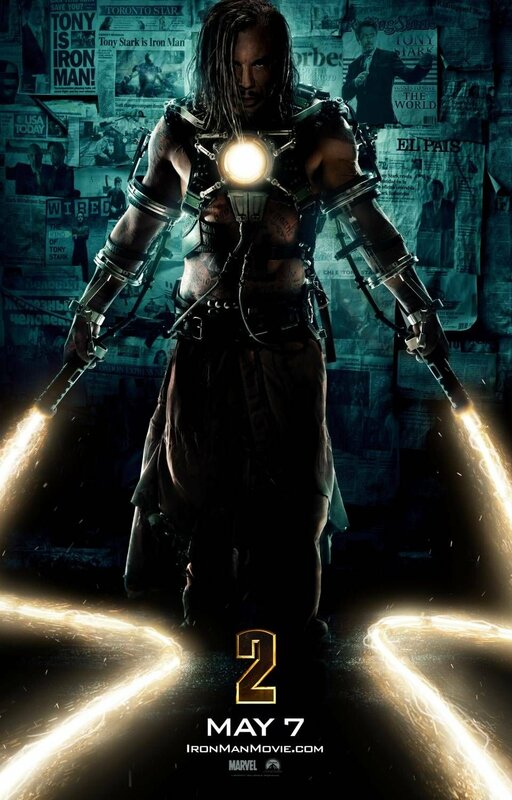 This is perhaps exacerbated because the new characters aren’t nearly as cool as Iron Man himself. However, getting people to see Iron Man 2 shouldn’t be too hard. The first film was broadly seen and broadly liked. So throwing a bunch of things at the wall to see what sticks should be enough to convince people that there is something here for them if they liked the first one. And the posters, taken individually, are all pretty good. So I don’t think the problems I have with the campaign will mean much in the end. Posting should resume shortly. Lots of catching up to do. Apparently people don’t just stop making posters when I’m not writing about them. Weird. I’m also starting to work through the e-mail backlog. Slowly. Very slowly. So, if you sent me an e-mail, expect an answer, but don’t hold your breath.